From its introduction in 1998, the Porsche 996 was not as well received as previous generations of Zuffenhausen’s darling sports car. Maybe it was the switch to water-cooling, or maybe it was those divisive ‘fried egg’ headlights. Even as time has passed, the 996 generation of Porsche 911 continues to split opinion (something not helped by the perceived proliferation of IMS bearing problems). The famous ‘Carrera S’ only made it onto the back of one Porsche 996: the C4S, a car that is rapidly becoming a modern icon. With its Turbo-inspired looks, optional Powerkit and added grand touring luxuries, this was a truly do-it-all Porsche 911. 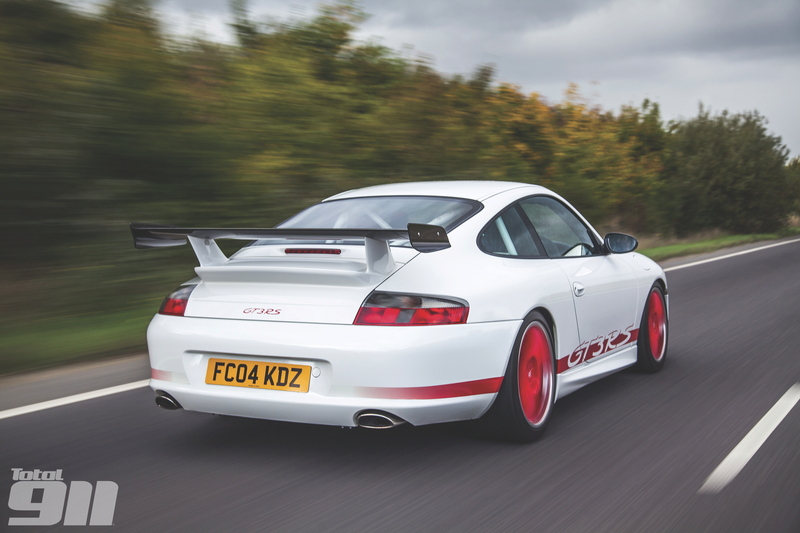 Number four on this list could very easily have been the 996 GT2 however, the Widowmaker’s Rennsport cousin is equally incredible, fine-tuning the 996 GT3’s chassis to create the best handling 996 generation around. The ’73 Carrera RS-inspired graphics were a neat touch too. The Porsche 996 Carrera Gen1 was the car that shocked the Zuffenhausen faithful upon its release. Yet, despite its water-cooled 3.4-litre engine and parts sharing with the Boxster, the 996 Carrera was a huge sales success, saving Porsche from bankruptcy. Pinky Lai was right, we have a lot to thank this 996 for. While for some it may feel a bit cold-hearted, it’s hard to deny that the Porsche 996 Turbo is a formidable 911, providing supercar speed for a fraction of the cost. It moved the performance goalposts and, as the first 996 with the revised headlights, it was quite a looker too. Surely this was an obvious choice? The first generation of Porsche 911 GT3 was the car that made the 996 cool. Suddenly here was a car, complete with ‘fried egg’ headlights to aspire to. One of Porsche’s greatest ever driver’s cars, the 996 GT3 Gen1 helped to create the Mezger legend. Do you agree with our choices? Which model of Porsche 996 is your favourite? Join the debate in the comments below or head over to our Facebook and Twitter pages now.